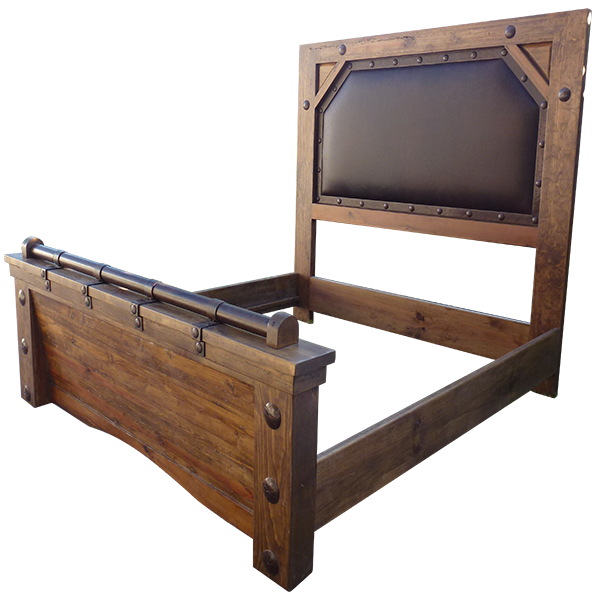 All of the hand forged, iron details on this handcrafted, Western style bed are created in our factory by our resident blacksmiths. The front of the rectangular, solid wood headboard is adorned with a padded panel, and the panel is covered with rich, brown, full grain leather. The panel is bordered by hand forged, iron conchos intermittently hand tacked to the frame. 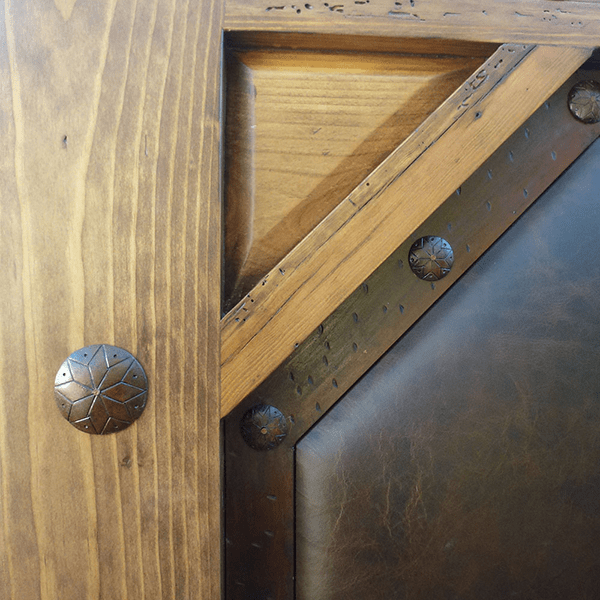 Each side of the top of the headboard has a cut out, triangular design, with a large, hand forged, iron concho on each side of the triangle. 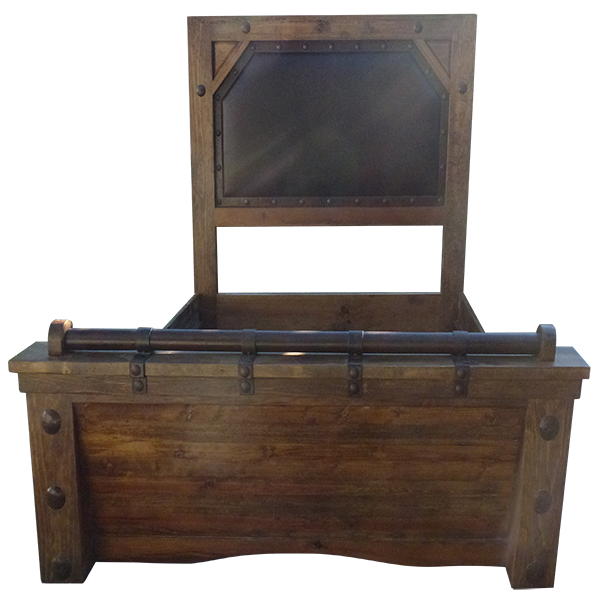 The bed has a solid wood, rectangular footboard, and adorning the top of the footboard is a hand forged, iron bar. 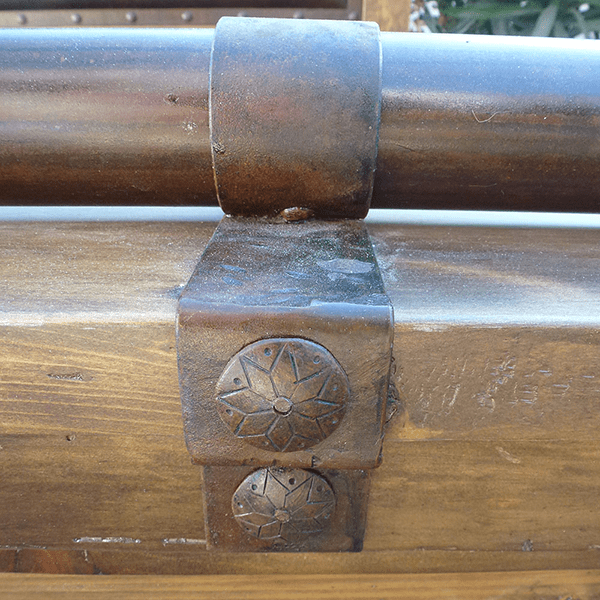 The side of the footboard´s top molding is embellished with four pair of hand forged, iron conchos. The footboard has two, robust, lateral uprights that continue downward to become sturdy, square cut feet. Each upright is accented with three, large, hand forged, iron conchos. The bed has solid wood, side supports, and it has a classic finish. It is made with the best, sustainable, solid wood available, and it is 100% customizable.